First stop of day three was Keraton which is a royal residence for Sultan and his family (the "symbol" of ruler in Jogja, pretty much like a Queen in UK). The ticket fee is Rp 7.000 (7 cents US) for local and Rp 12.500 for foreigners. Open from 9AM to 2PM. There is also a tour guide which covers as a photographer as well.. We were pleased with his knowledge, photography skill and friendliness, hence, we gave him Rp 30.000(US $3) for tips. There is no fixated price for the tips are vary so feel free to give any amount you want. But Rp 20.000 until Rp 50.000 is the standard. 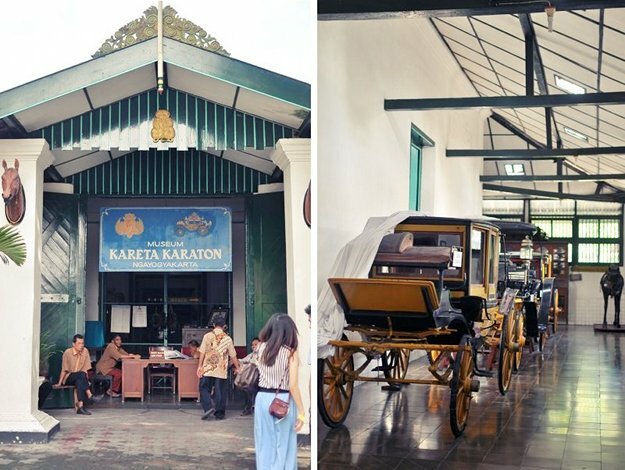 Oh, for the Museum Kereta (Carriage Museum) there is additional fee. Recommended since it is very Jogjakarta and I'm actually kinda into history! 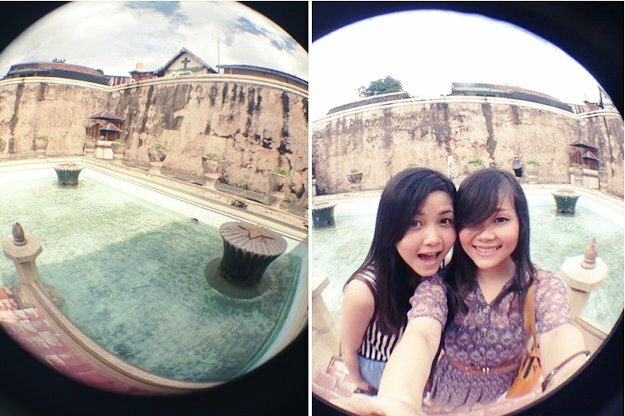 Next stop was Taman Sari also known as Taman Air Sultan (Sultan Water Palace) where Sultan Hamengku Buwono I (first Sultan everrr) came to this place to "have fun" with her mistresses. He has so much mistresses that even if he rolling the schedule, one mistress won't be able to see him in one month. Ticket fee is Rp 3.000 for locals and Rp 7.000 for foreigners. Open everyday from 9AM to 4.30PM. The palace is gorgeous and we were lucky that there is water inside. Tour guide is also around but if you don't want one, just politely say no and they back off. We personally love getting to know the history of this amazing building so we hire one (to be a photographer too!) and gave him Rp 20.000 tips. More pics about this place in a vacation outfit post :) This place is highly recommended! 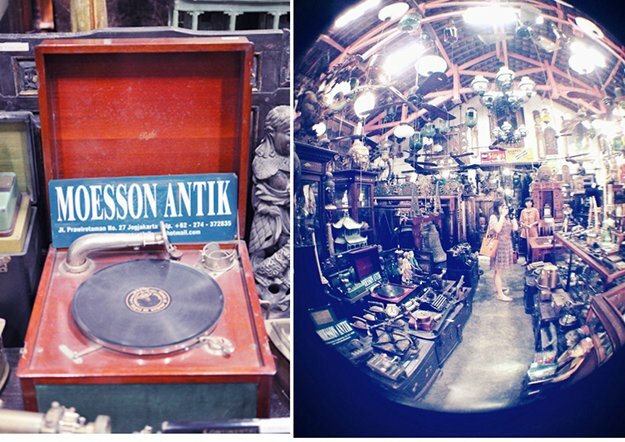 One of my favorite blogger visited this store on her last visit to Jogja hence I decided to give it a visit too. 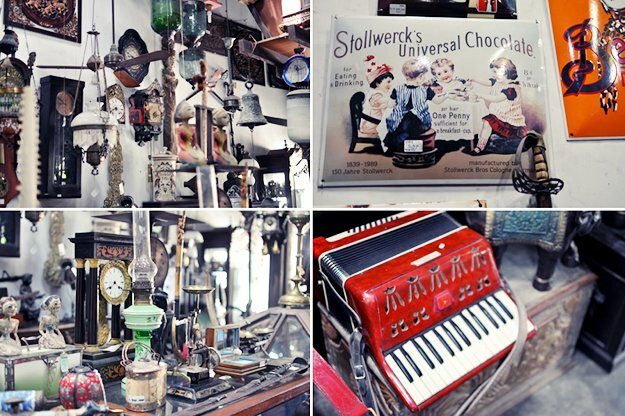 Antiques are practically scattered everywhere and it looks a bit eerie and I actually had chill on how old some of these things are. Everything was expensive and I can not find a single item that is less than 500 thousand rupiah (around US $50). The signs on the wall price starts at 8 million rupiah (US $800). Not recommended to visit unless you are looking for those unique furnitures and knick knacks for your home. Make sure to bring plenty of cash! Finally we got to visit Prambanan Temple! Altho the weather was so gloomy I wasn't so sure we will be able to take pics and wander around. But thankfully, the rain decided to fall when we were in the car! We took the package ticket which includes Ratu Boko and Prambanan and it costs us Rp 37.000/person. They provided a shuttle to go to and back from Ratu Boko to Prambanan area. Open from 6AM to 5PM. 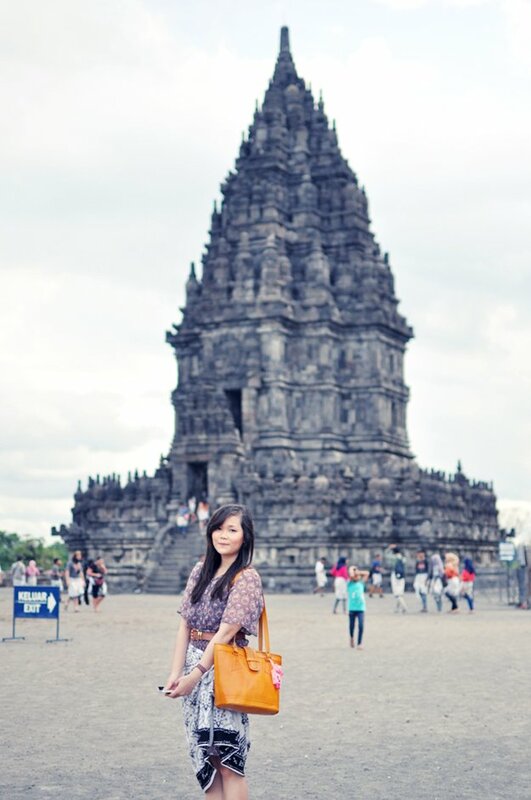 My suggestion, just take the Prambanan and skip Ratu Boko. 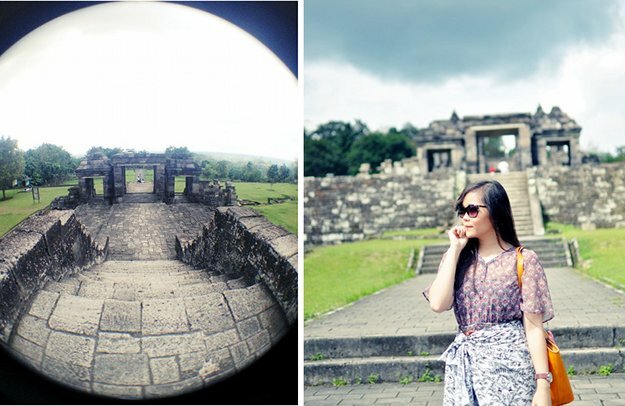 I personally don't think Ratu Boko was that very worth to visit. For Prambanan only, ticket fee is Rp 30.000 for locals and US $20 for foreigners. Highly recommended if you ever want to try the authentic Indonesian food. 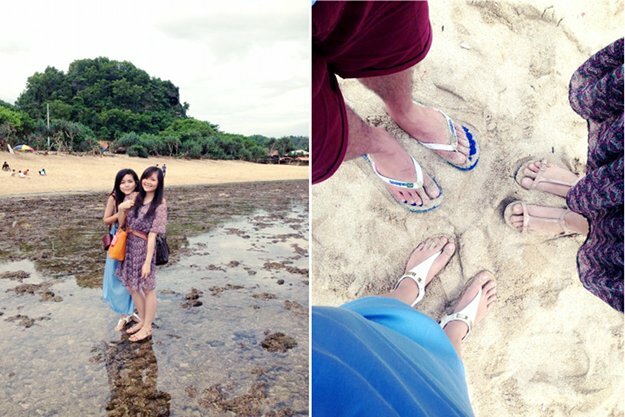 After lunch we wander off faraway to Indrayanti beach. It's a white sand beach (it looks brown-ish, but this is as white as we can get here in Java island). The trip to go there from the city is quite far, around 2 hours drive with curvy roads and trees everywhere. It's worth a visit, however, not all that recommended. Unless you are a beach lover. To be noticed, you can't surf here since there too many rocks and the waves are too small.. However, you very much can playing with sand and saltwater! And make sure to drink coconut water fresh from the tree. To end our Jogjakarta adventure, we stopped by at Serafin Pattiserie for dessert (we had dinner at a secluded hidden place that our driver suggested. He said it's a hip place, but seriously, there weren't any people there! We had a humble steak dinner. And by humble, I mean tiny tiny portion). I had a white chocolate eclair that tastes yummy! The hot chocolate tastes like Milo tho.. The place is cozy and very youthful. 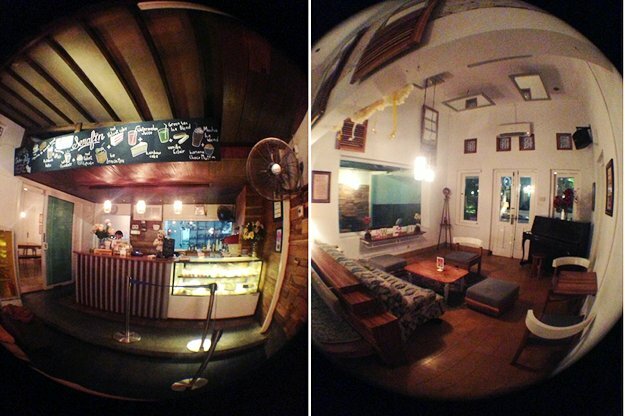 Pretty much like any other cafe in Bandung. Bye bye Jogja, it's been real.. Thank you for reading, loyal readers. Vacation Outfit is coming soon. Hopefully your weekend will be wonderful!